Life in New York is full of limitless and endlessly wonderful ways to share your time with another person. In fact, the choices to take your special someone to, are more than you could fit into an entire lifetime. Indeed, for wooing mature singles, New York offers both traditional and exotic venues to enchant and bewitch. 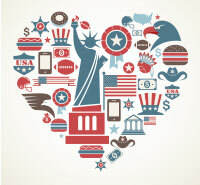 Here are just a few wonders for dating in the Big Apple. Is she a bookworm? Does he love spending hours looking through stacks of books? 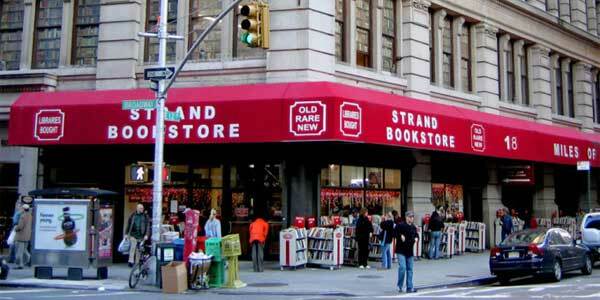 If books are your mutual thing, check out The Strand, a unique bookstore with "18 miles" of books packed into its three stories. Loaded with bound treasures, The Strand is a relic from the 1950s with its floor-to-ceiling racks as well as its open areas for reading and viewing photographs and artworks. Together with your online senior dating partner from top mature matchmaking site EliteSingles, you can relish the history that lies between and among the millions of pages in The Strand. 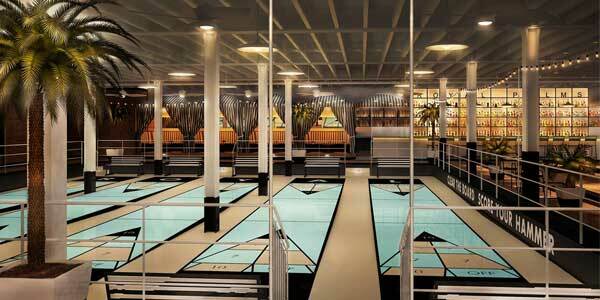 Charm your date with a trip down memory lane by leaving the present and entering the past at the relaxing and low key Royal Palms for a game or two of shuffleboard. Let nostalgia rule and you’ll be the pros in a game unknown to younger couples. In between shuffles, enjoy a cocktail or two and a tasty snack. 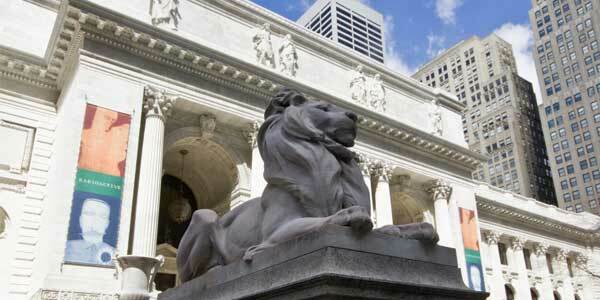 No dating agenda is complete without a trip to the New York Public Library. If he is a true literary soul, bring him to a poetry reading or take her to a creative writing workshop. Motivation abounds in this Mecca of old books and historic architecture. Perhaps you’d rather simply sit and take in its amazing sights, sounds, and smells. It is easy to choose this book-based, famous venue based on your partner’s detailed profile in match.com. If you want the feeling of a resort without leaving the city, then La Marina is the place for your next date. 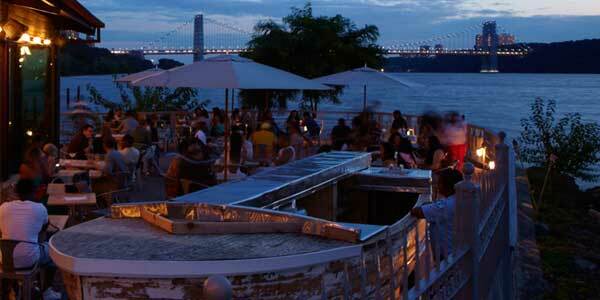 Spend a leisurely summer afternoon sipping a summer drink while you dine overlooking the Hudson River. Do bring a full wallet as this one is on the more expensive side. 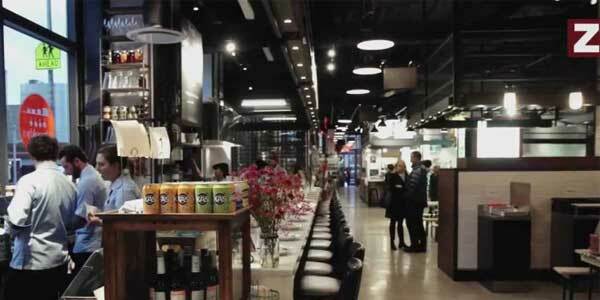 Despite the ominous name of its location, the Gotham West Market offers daters a panacea of culinary delights for those days when hungry horrors prevail. Food is prepared by just 8 primo vendors and features fares such as cured meats with beer or burgers and shakes. You can even purchase bicycles on premise and peddle away into romantic oblivion. 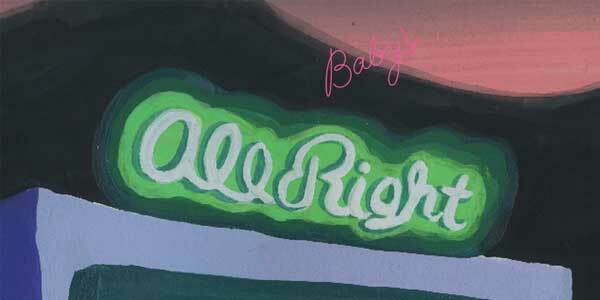 Whether it’s the ‘best food from Bangkok,’ or standard American brunch fare accompanied by some of the best entertainment in town, all tucked neatly under the Williamsburg Bridge, Baby’s All Right is the place to take your date. True, a younger crowd prevails, but the exciting atmosphere and energy are contagious! Bagel making as art! 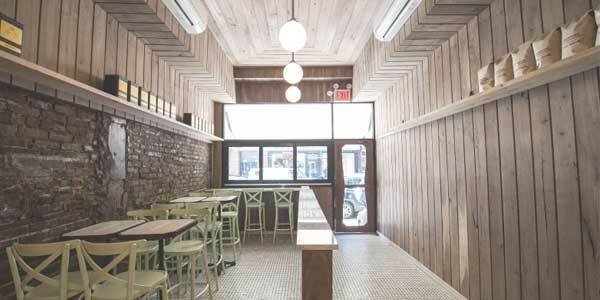 That is the premise upon which two partners, one from Montreal and the other from New York, founded this Soho bagel shop. Rolled by hand and baked with wood, the line outside Black Seed Bagels is testimony to their special quality. Nothing fancy is here but you will enjoy a delightful chat with your date while you wait for what is rumored to be the best bagels in town. If you love art, but hate the hustle, bustle and crowds in the more famous galleries, grab your date by the hand and surprise him with the fresh and exhilarating art created by students at Bard. 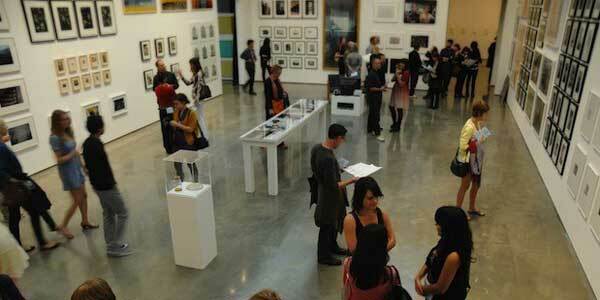 The exhibits change several times throughout the year. The entry fee is just $7. 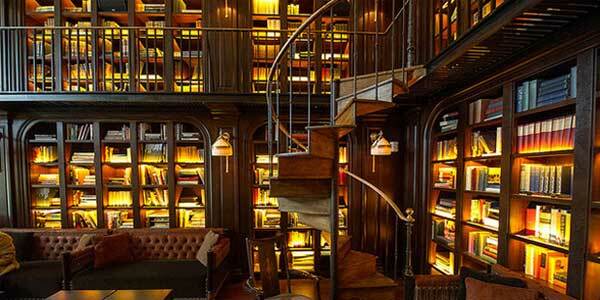 Take refuge from the tech and media scene at the trendy NoMad Hotel. With six different spots within the hotel sharing a single menu, including an atrium, a romantic private fireplace and a two-story library, it’s heaven for any bibliophile. 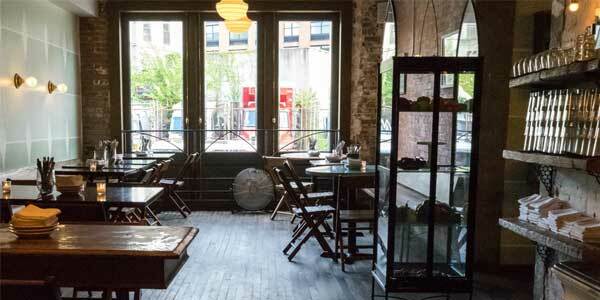 Located in an old glass factory, Glasserie specializes in wonderfully delicious spins on classic dishes. Stylish and romantic, this is the perfect spot to grab a bite and a drink with your date. For mature singles, New York offers a plethora of dating possibilities, but first you need a date! OurTime uses an expertly-designed formula to match people based on their unique and special interests.